“Just hold your nose and write,” is my friend Hallie Ephron’s motto. 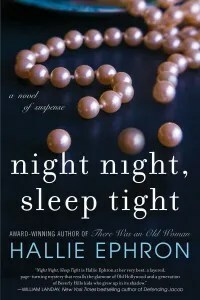 Hallie has a new book coming out in March, Night, Night, Sleep Tight, a novel of suspense about Hollywood in the 1950s and 1980s. 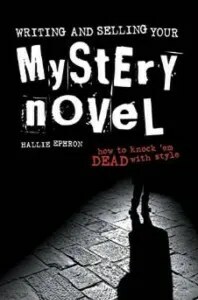 If you’ve never read Hallie’s books, you should, because they’re terrific. If you want a little taste, just to try, she has a short story with the same characters and setting up for $1.99 for Kindle here. Anyway, I have been chanting Hallie’s motto as if it were a mantra as I steam toward the end of the first draft of Fogged Inn, the fourth book in my Maine Clambake Mystery series. I really want to finish the draft before we leave Key West on March 1. We’re doing a little sight-seeing and family visiting on the way home, and I’m hoping to have that week to let the manuscript “rest,” before I begin the first round of revisions. 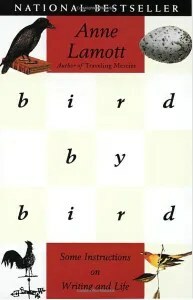 Anne Lamott says famously in Bird by Bird, that we all have to write sh**ty first drafts, but sometimes I feel I abuse the privilege. The problem is, I can’t really think unless I write. I’ve always been like this. Back in the day, I solved complex business problems by writing the detailed memo supporting my recommendation–and in the writing process discovered what my recommendation actually was. The memo often never left my computer. Usually it was was transformed into a high level series of Powerpoint bullets. But having written it, I knew my case inside and out, and believed it in myself, and therefore could defend it. For better or for worse, it’s the same with fiction. For Fogged Inn, I wrote a high level synopsis for my agent and my editor. It’s turned out to be mostly accurate as the first draft has unfolded, but man does it leave out a ton of important information, all of which I have to make up along the way. It’s fashionable for professional writers to claim there’s no such thing as writer’s block, but I know what it’s like to be at the crossroads where you can’t write because you don’t know what comes next and you don’t know what comes next because you aren’t writing. Junot Diaz says writing a novel is an act of faith. Faith in the beginning that your idea is good enough to be a novel, faith in the middle that it will somehow lead to the ending, faith as you write the ending that is has anything to do with the beginning you wrote so many months ago. I have faith that I will be returning to New England soon with a completed first draft. It will be too short, terrible, disjointed, out of order, and full of dead ends and things-I-forgot-to-tell-you-earlier. But it will be done. 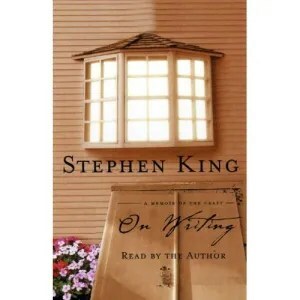 This entry was posted in Barb's Posts and tagged Anne Lamott, Barb Goffman, Bird by Bird, Fogged Inn, Hallie Ephron, Junot Diaz, maine clambake mysteries, Night Night Sleep Tight, On Writing, Stephen King. Bookmark the permalink. You’ll definitely get it done by March 1, Barb — I believe in you! 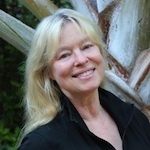 I know that feeling so well, Barb: “at the crossroads where you can’t write because you don’t know what comes next and you don’t know what comes next because you aren’t writing.” I run into that frequently. Sometimes you just have to start typing and see what comes out! I have every confidence that you can pull this off, as always, and give us another great installment in the series. Cheering you on! Especially since I’ve been living the same issues you’re writing about. 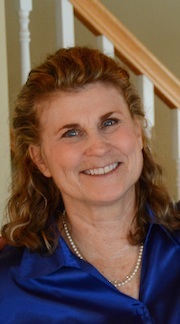 And my completed manuscript is due March 1….. Boy do I sympathize! Why? Because I’m at the same stage with my WIP. Yesterday I seriously considered having a natural disaster wipe out my entire fictional town of Moosetookalook, just to put something more than “talking heads” on the page. I know what happens at the end of the book, but there need to be one or two more middle of the book chapters first or it’s going to be a very very short novel. I already threw in a second body. The poor guy never saw it coming. Neither did I. Maybe I’ll end up changing that to attempted murder. Hmmmm. There’s a thought. My personal mantra is “it takes as long as it takes” to get to the end of the draft, but that doesn’t make me any less twitchy when the process slows to a crawl. Thank goodness I’m not alone in this leaky boat. Eventually, we’ll all make it safely to shore. I too, have considered many contingencies–killing off the love interest, killing off the Mom. Fortunately, I usually get a grip and move forward–at least so far. Oh, I hear you. You might try not holding that self-imposed end of Feb deadline over your own head quite so threateningly? My tactic is just to make a pile of pages 400 pp high, then rewrite whatever that turned out to be… But o god, o god is a refrain frequently uttered around here during 1st drafts. Break a (literary) leg! 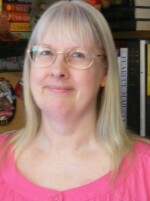 Sarah–I wish I could make a pile of 400 pages! My first drafts are always way, way too short, coming in usually around 55,000 words. That used to cause a whole ‘nother meltdown/non-productive freakout, but after going through it multiple times, I now know it will get longer in the revision process. I’ve never come close to my contracted number of words, but my editor’s never made a peep about it, and the last two, Boiled Over and Musseled Out ended up being exactly the 304 pages Amazon had listed on their site months and months before I finished writing. You’re right about the 2/28 deadline. I’m already saying if I have to go north without a couple of scenes, that’s okay. At least I know what they are. However you do it, it works! I loved Death of an Ambitious woman and both of the clam bake mysteries so far.